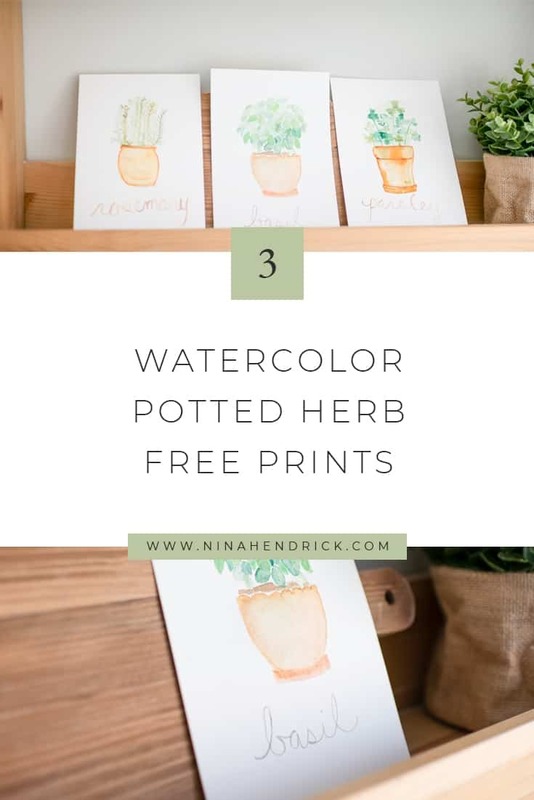 Potted Herb Watercolor Prints | Decorate your kitchen, potting shed, or any room in your home with these free printable potted herb watercolor prints! 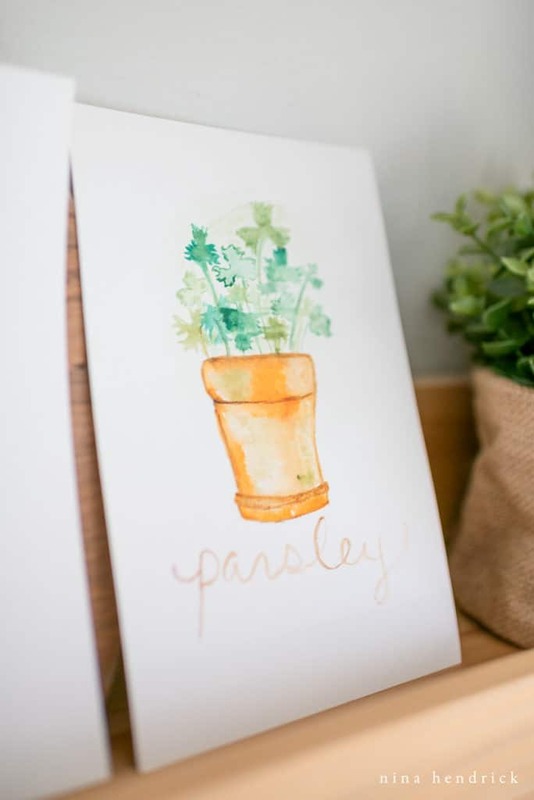 Is there anything more perfect for kitchen decor than herbs? 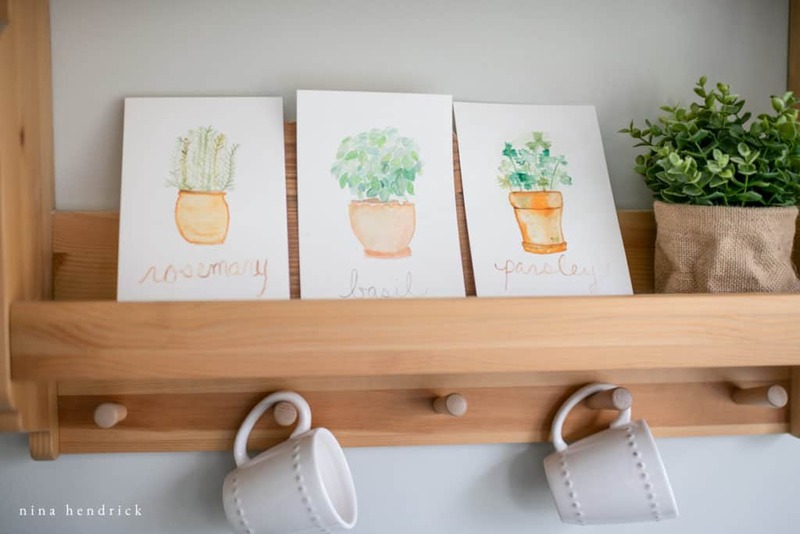 Whether live like these chalkboard herb pots or in art form like the prints I’m sharing with you today, bringing in the hint of nature is always a great way to add interest to a space. 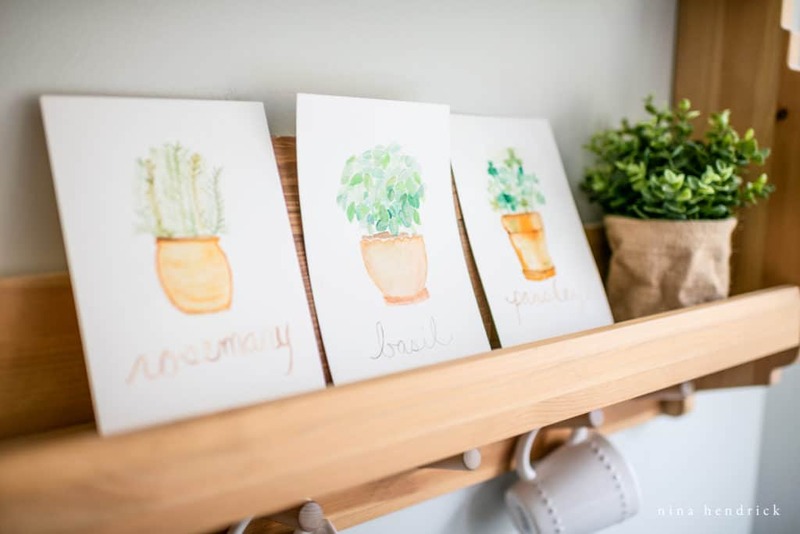 I wanted to share something with you that you could use to decorate any day of the year, so (per request from my Heart of Home Community) I painted these little potted herbs. More than twenty of my blogging friends are also sharing everyday printables that are linked at the bottom of this post! 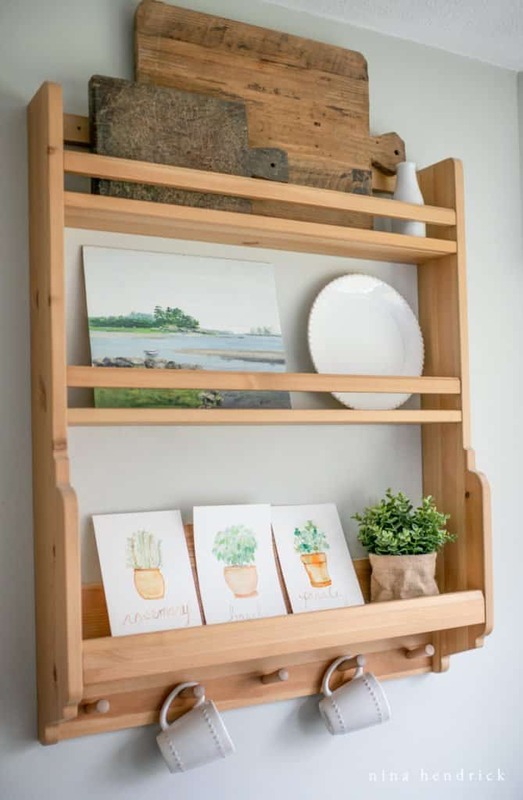 I had never shared anything with you to decorate the kitchen. Since our kitchen is a pending construction zone, I placed ours in the breakfast nook. 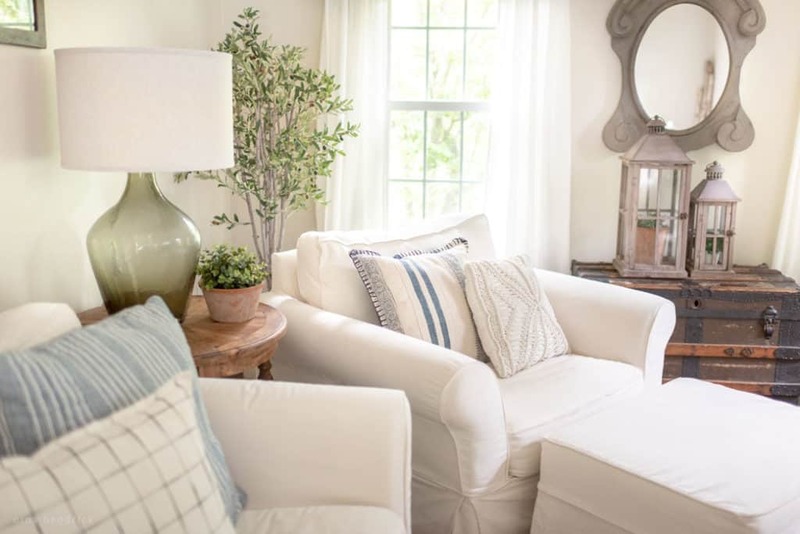 It will be our little island of calm amongst the chaos of the upcoming kitchen renovation. There are three herbs that I painted. Rosemary, basil, and parsley. I can add to the collection over time if there’s interest! I can’t wait to soon plant our real herb garden outdoors. 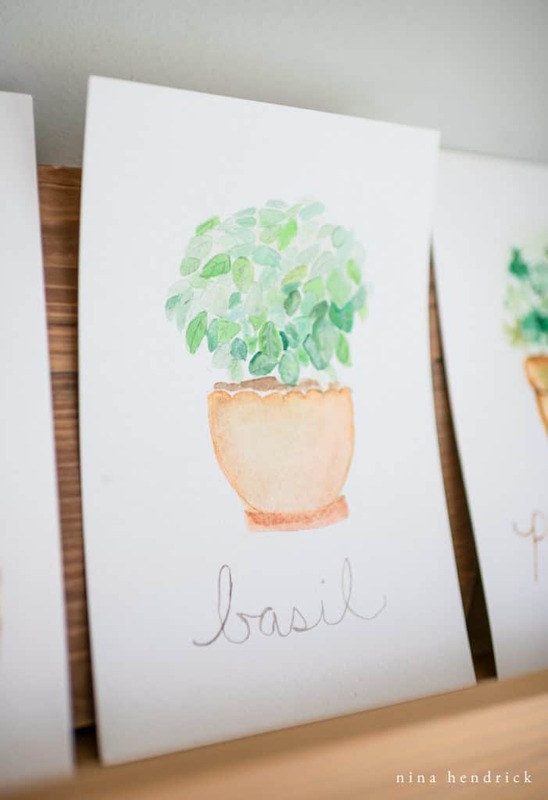 Click Here for the Potted Herb Watercolor Prints! 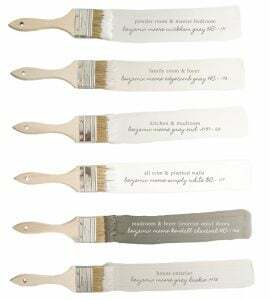 Those are so cute. 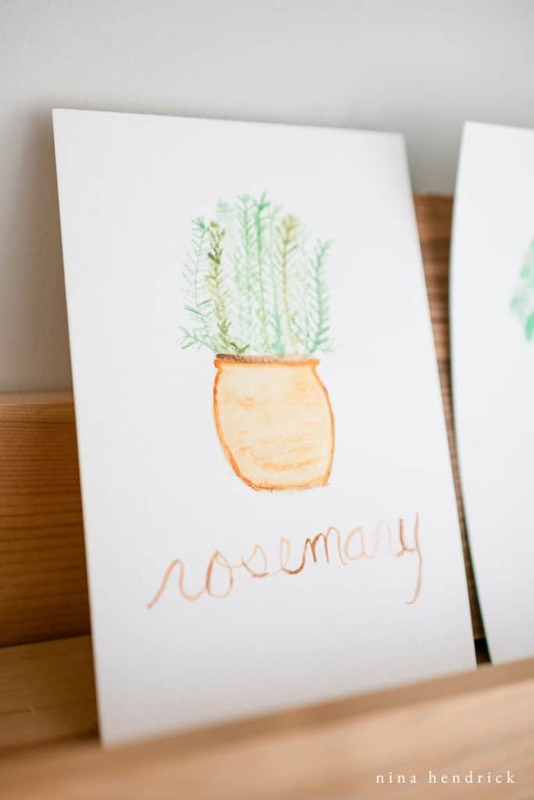 I can’t wait to plant my own herb garden, but I guess I will do printables for now! Thanks.